In adult patients who are hospitalised for a first episode of syncope, what is the prevalence of pulmonary embolism (PE)? Although an even higher PE prevalence of 25% was noted in the subgroup with syncope of undetermined origin, also almost 13% of patients considered having another clinical explanation for the syncope had PE. Syncope due to PE is thought to occur because of a sudden obstruction of the most proximal pulmonary arteries that lead to a transient depression in cardiac output. However, in approximately 40 % of the confirmed PE cases the vascular obstruction was “small” (<25% perfusion defect on VQ scan or most proximal location of embolus in (sub)segmental artery). This suggest there might be other associated mechanisms responsible for the syncope. First, Study period quite long (2.5 years) and as such clinical practice may have changed impacting the results, and hence having introduced a bias. Therefore, at most we can conclude that the PE incidence is 97 out of 2584 or thus 3.8% which is closer to the previously reported ranges. Sixth, there are some very interesting differences in the baseline demographics of the PE confirmed and no PE group. Seventh, the results need to be interpreted with caution as previous data has shown that the use of CTPA may overestimate PE in distal branches with about 25%6. The results of this study however cannot be generalised to other emergency departments where a good clinical and physiological assessment of the patient should normally identify PE much earlier in the diagnostic process. There is no indication that this study has identified a patient population with occult PE. Blog article: Pulmonary embolism prevalence examined in patients with syncope http://www.acepnow.com/article/pulmonary-embolism-prevalence-examined-patients-syncope/ posted by Ryan Patrick Radecki, MD, MS on December 14, 2016. Hutchinson BD, Navin P, Marom EM, et al. Overdiagnosis of pulmonary embolism by pulmonary CT angiography. AJR Am J Roentgenol. 2015;205:271-277. Blog article: EM Nerd-The Case of the Incidental Bystander. http://emcrit.org/emnerd/the-case-of-the-incidental-bystander/ posted by Rory Spiegel on October 20, 2016. 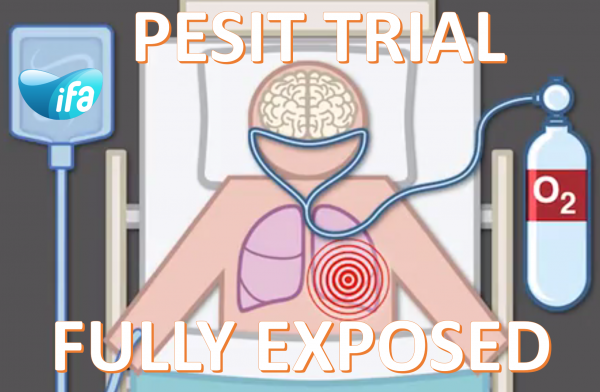 Blog article: PESIT Investigators: the incidence of PE in those hospitalized following first syncope. pulmccm.org. http://pulmccm.org/main/2016/n-engl-j-med-review/pesit-investigators-pulmonary-embolus-incidence-hospitalized-following-first-syncope/. Published October 2016. Blog article: JC: Prevalence of PE in patients with syncope. St.Emlyn’s. http://stemlynsblog.org/prevalence-of-pe-in-patients-with-syncope-st-emlyns/ posted by Simon Carley on October 20, 2016.